Glenwood Springs Demon Eryn Peterson wins possession of the 50/50 ball on a corner kick during Wednesday's playoff game against the Thompson Valley Eagles at Stubler Memorial Field. One year after dropping a heartbreaking 3-2 decision at home in the first round of the playoffs against Pueblo Centennial, the No. 6 Glenwood Springs Demons came out Wednesday night with a point to prove in the first round of the 2018 4A state playoffs. 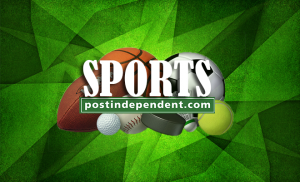 Glenwood proved that point quickly at Stubler Memorial Field against the visiting No. 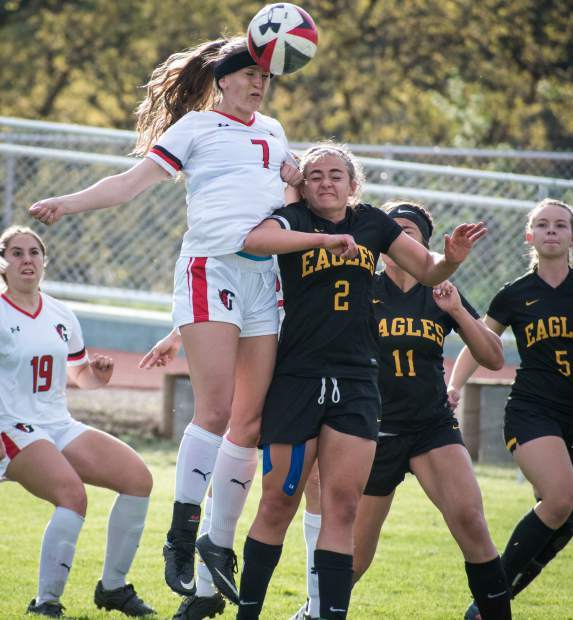 27 Thompson Valley Eagles, scoring two goals just four minutes apart early in the first half and rolling to a 4-0 win to advance to the second round of the playoffs. “Last year, we all knew we could go much further, and we didn’t,” Glenwood senior Devan McSwain said following the first-round win. 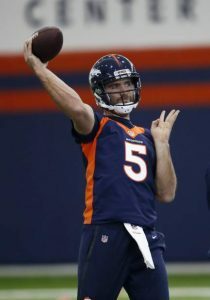 “This year, we were all pumped up because we wanted to redeem ourselves, and I think a lot of it was we wanted to prove it to Denver [area] teams that we are good enough to play with them. The Demons did just that, jumping all over the Eagles early in the first half and driving the pace of play while dominating possession for much of the game. Pushing the pace early and mounting two good scoring chances in the first 10 minutes of the game for junior Levyn Thomas and senior Eryn Peterson, the Demons finally fired the opening salvo on the day at the 12:58 mark of the first half. Sophomore forward Summer McSwain found her sister, Devan, in the box on a free kick, allowing the senior McSwain to blast home a header into the upper right corner of the net, giving the Demons an early 1-0 lead. With the Eagles on their heels following the opening goal, the Demons seized the opportunity at hand and put the playoff game out of reach early. Freshman Tatum Lilly struck just under four minutes later for Glenwood, taking a great feed from Peterson down the right wing and firing a shot to the far left post to beat the diving Thompson Valley keeper, pushing Glenwood’s lead to 2-0 just 15 minutes into the game. Trailing 2-0 quickly on the road, the wind beneath the Eagles’ wings seemed to disappear as soon as Lilly’s goal found the back of the net. Glenwood, on the other hand, found a second wind quickly, continuing to mount attack after attack on the besieged Thompson Valley back line. The persistent pressure paid off just before halftime, as junior Sarah Helm fired home a free kick from 25 yards out into the upper right corner of the net, curling the shot home over a pair of leaping Eagle defenders trying to head the ball away and giving Glenwood an insurmountable 3-0 lead. Heading into the half up 3-0, the Demons were just 40 minutes away from advancing to the second round for the first time 2012. 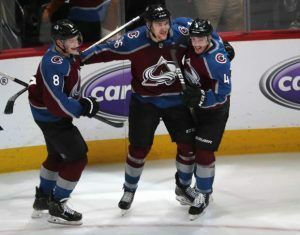 Knowing what was at stake, the Demons didn’t let up one bit, continuing to drive possession all evening and holding the high-scoring Eagle attack to just one shot on goal through the first 50 minutes of the game. But senior Kahrena Thompson put together a great run early in the second half, bursting into the box before Glenwood junior goalkeeper Hannah Juul turned aside the scoring chance to keep the Eagles off the board. Along with Juul, the Glenwood backline of Celia Scruton, Julia Mulhall, Ashley Weir and Devan McSwain stymied the Thompson Valley attack all game long. Following Juul’s big save in the box, Glenwood reorganized offensively and put the game away for good with just under 13 minutes to go in the half. Following a waved-off goal by Peterson on a free kick from Devan McSwain, the Demons never blinked, as McSwain fired home a 25-yard free kick of her own — this one from near the right sideline, as the ball bounced off of the Thompson Valley goalkeeper’s hands and into the net for a 4-0 lead. On the night, three of Glenwood’s four goals came off of set pieces. 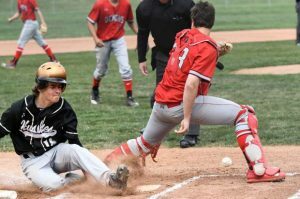 With the win, the Demons set up a rematch with the Pueblo Centennial Bulldogs on Saturday morning at Stubler Memorial Field. The No. 11 Bulldogs (15-1) defeated the Durango Demons on Wednesday night, 7-0, in the first round of the 4A state playoffs. “We need to be ready, and we need to be mad,” Devan McSwain said. “We need to come out remembering last year’s game, remembering what we didn’t do right to win. Kickoff in the second-round matchup is scheduled for 11 a.m.